In many cases customers are victimized by low-ball bait-and-switch pricing and high pressure sales people coming into their homes. We have been in the Carpet Cleaning business for more than 17 years and we have heard 100’s of horror stories from customers who shopped for the lowest price first. In our industry throughout the country, there are 1000’s of fly by night companies that disguise themselves as a professional carpet cleaning business. The three pictures below are indicative of what these companies look like. The owner – don’t come back until you sell them everything! Bubba’s partner, the snake! Always looking to scheme and sell. The owner of the business that hires contractors and pay’s them minimum wage but…. Gives them 30% or 40% for any extra sales that they get on the job (that means while they are inside of your home). That is the exact reason why they are pushy sales people. The only way that they can make a living and earn a decent wage is that somebody has to pay for it and that someone is you, the consumer. Choosing a professional carpet cleaning company can be a confusing decision. How do you trust random companies? How do you know if they are any good? Will they cheat you? These are all valid concerns. 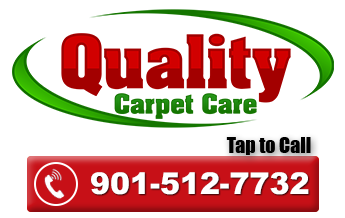 The truth is, there are alot of unethical Memphis carpet cleaning companies out there. I’m about to share with you some carpet cleaning rip-offs these companies use, That way when you invite one of these unethical cleaning companies into your home, you’ll know what to look for. And, you won’t get cheated. We all are attracted by a low price. But, unfortunately some of these companies will use low price to get into your home. And once there, they proceed to high pressure sales tactics for expensive and unnecessary add-on sales. Which in most cases are things that should be included with the cleaning. Such as pre-spray or pre-conditioning, basic spot removal etc. I have even had clients tell me the last company tried to charge extra for pre-vacuuming. Unbelievable. This is where the company may bait you with a cheap price, for there basic cleaning, just like i explained above. But switch to a better cleaning for heavily soiled carpets. So…. you have to pay more if you want your carpets really cleaned. Not good. This is called bait and switch. Coupon scams are something we see often. Especially in Memphis. Alot of times the company may send out cheap coupons, with unbelievably low prices. Such as $10-$20 per room. Ask yourself, how can a professional cleaning company afford to clean your carpet, do a great job, guarantee there work and stay in business at such a cheap price. Truth is they can’t! These companies, in most cases don’t have insurance, hire sub-contractors and have poor workmanship. Guarantee? Yeah, good luck with! If the price is to good to be true, in most cases it probably is.